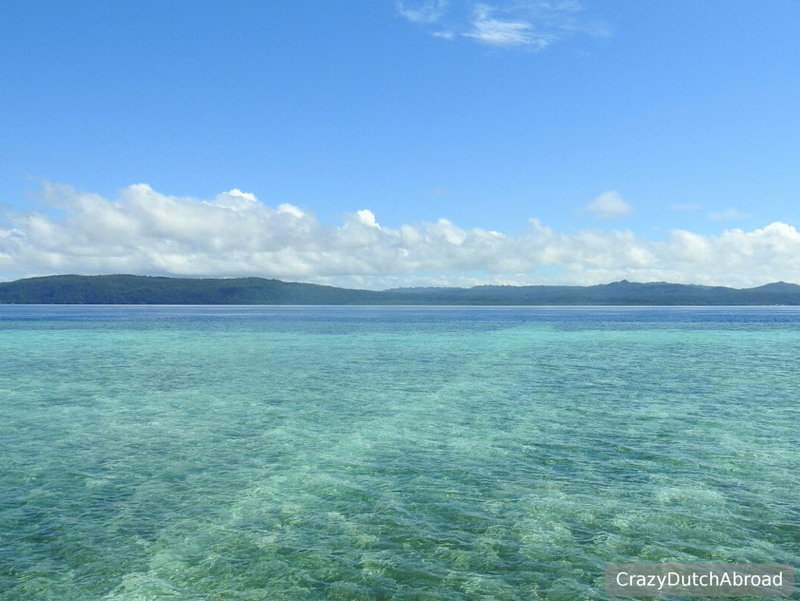 Paradise on earth: Raja Ampat, Papua! 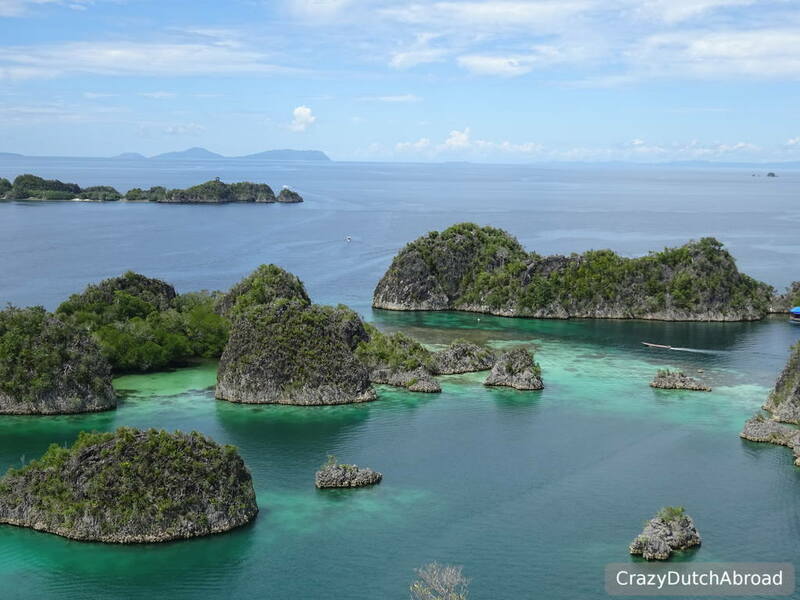 One of the most beautiful places in Indonesia, maybe in the world, is Raja Ampat! 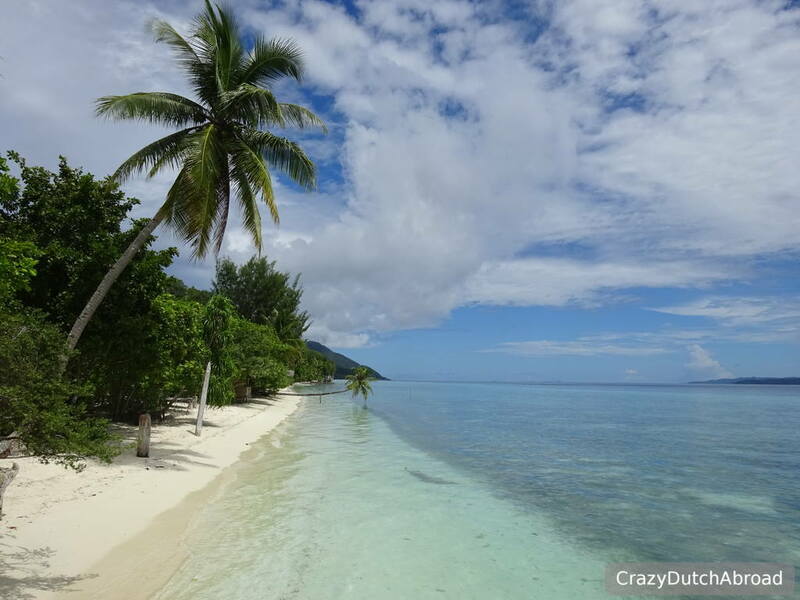 Imagine hundreds of tropical bounty islands and coral reefs with extremely diverse marine life! 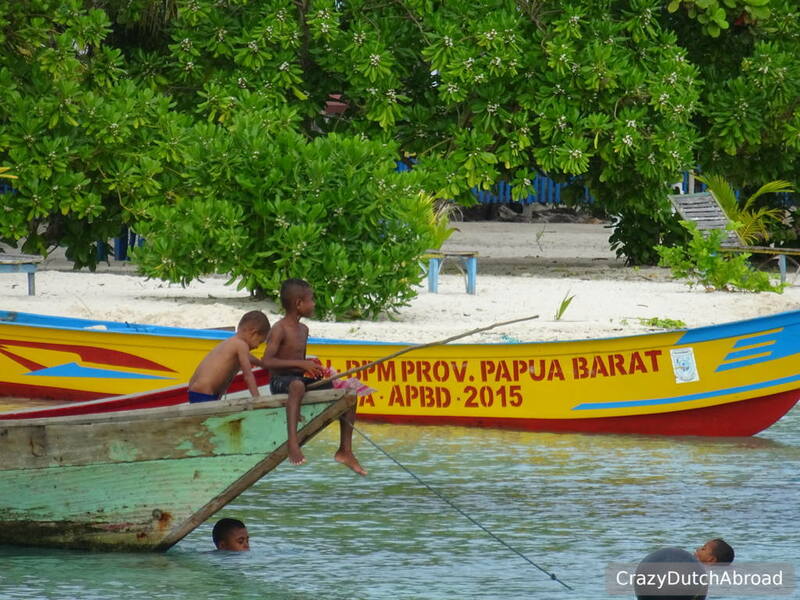 Visit this remote place in West-Papua! It already sounds like a tropical paradise right? Raja Ampat means four kings, there are four big islands and over 1000 islands in total in West Papua. 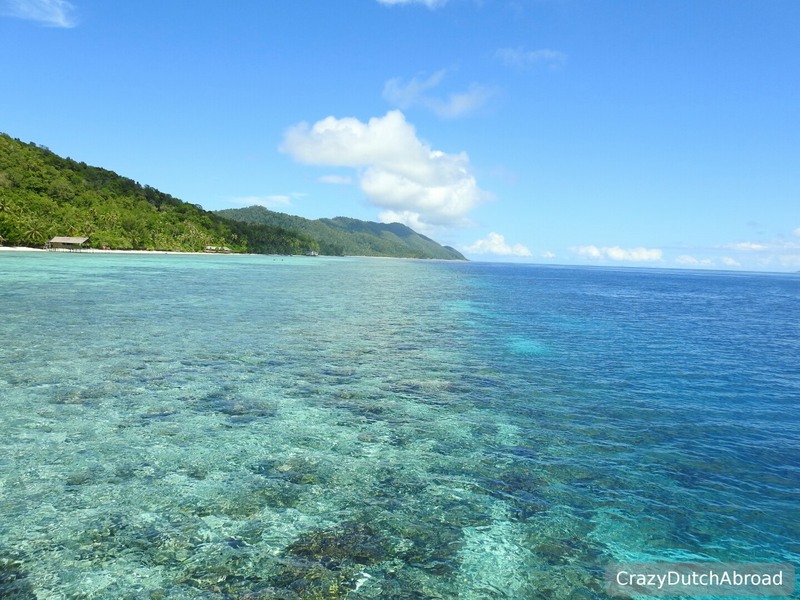 On top of that it lies in the coral triangle making it a colorful underwater paradise as well! It is remote, very remote, but it is getting more and more accessible and now you can do it on a budget! 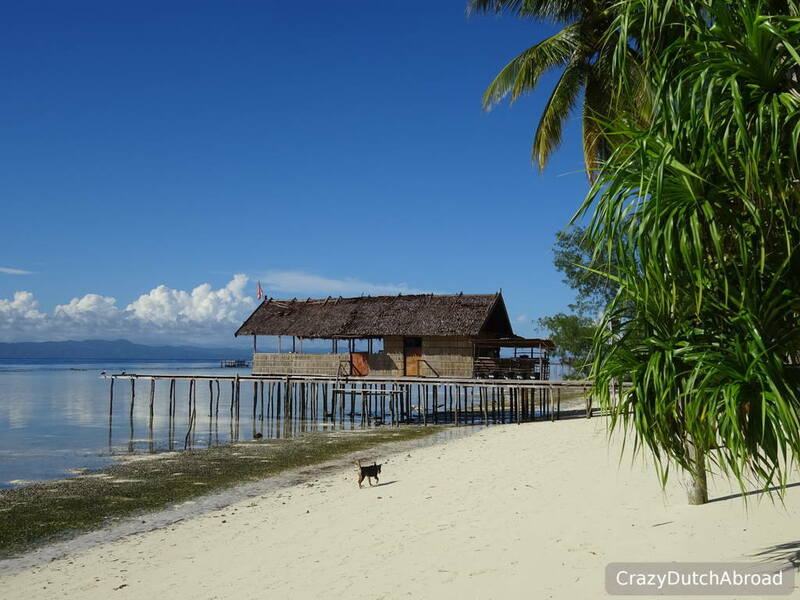 You can stay in a bamboo hut on the beach in one of the homestays around Raja Ampat. Still this is not a cheap destination, but definitely worth the money! 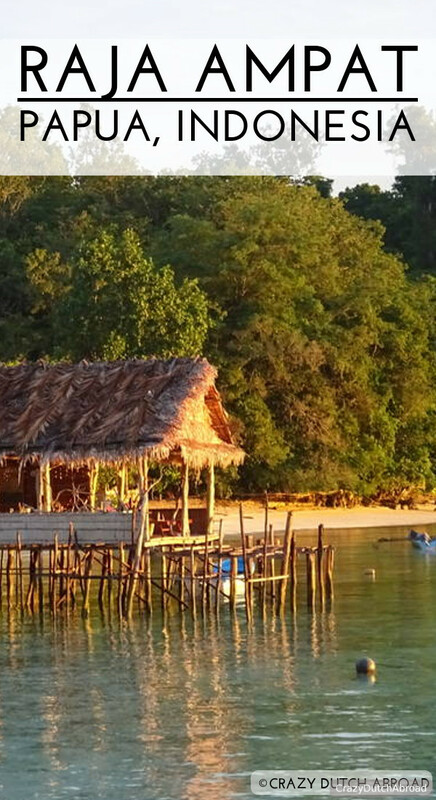 Sorong is the closest airport to Raja Ampat and is located on the mainland of West-Papua. 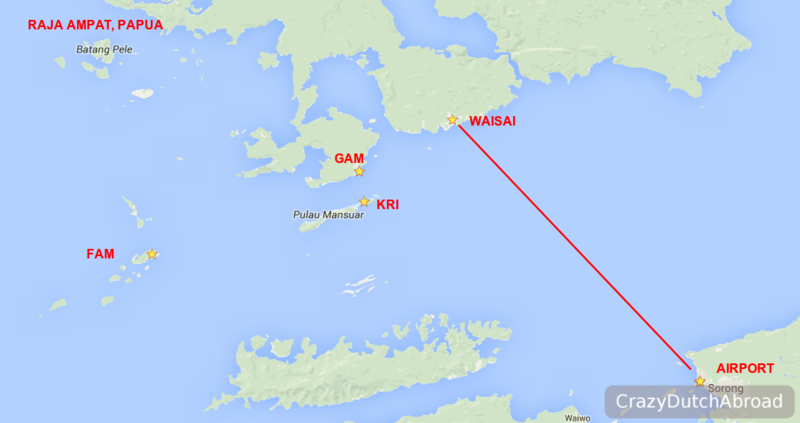 From Sorong you need to take the ferry to Waisai to go to the Dampier Strait (Kri, Gam, Mansuar, North Waigeo). 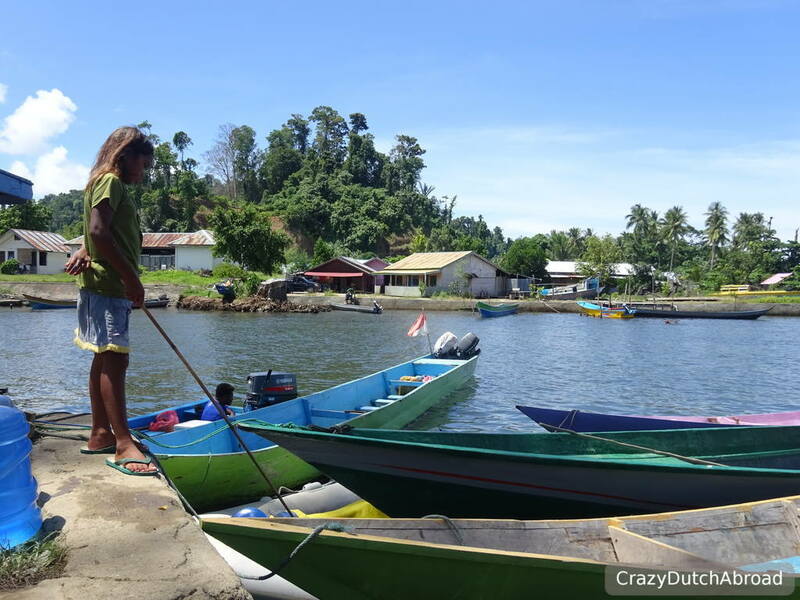 There are no (cheap) direct flights from Denpasar Bali to Sorong Papua. We flew in from Manado, Sulawesi and out to Ambon, Maluku. 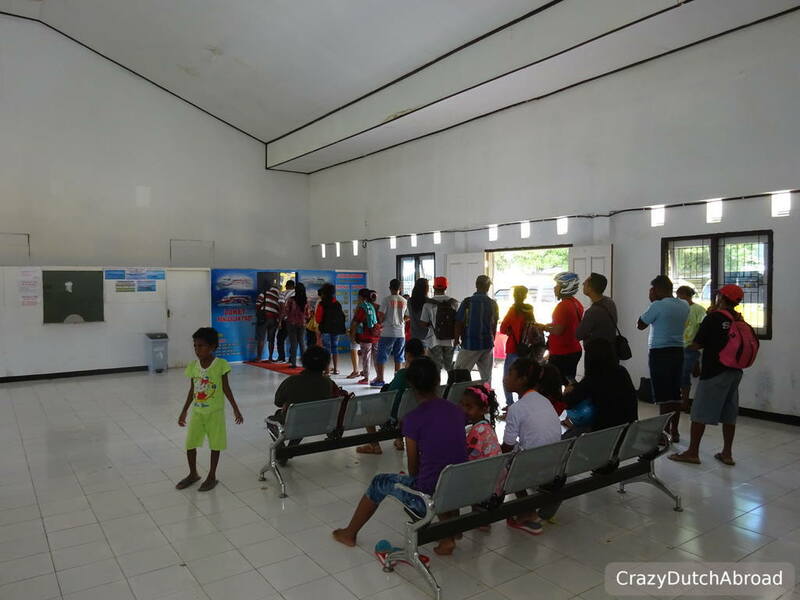 Wings Air is one of the low budget airlines to get to Sorong, you can check-in 10KG only and pay up to 1 dollar per kilo extra at the check-in counter. Expect to queue a long time and people jumping in from the side. The process is really slow even though several people are helping and you might need to pay at a different office before you get your boarding pass. 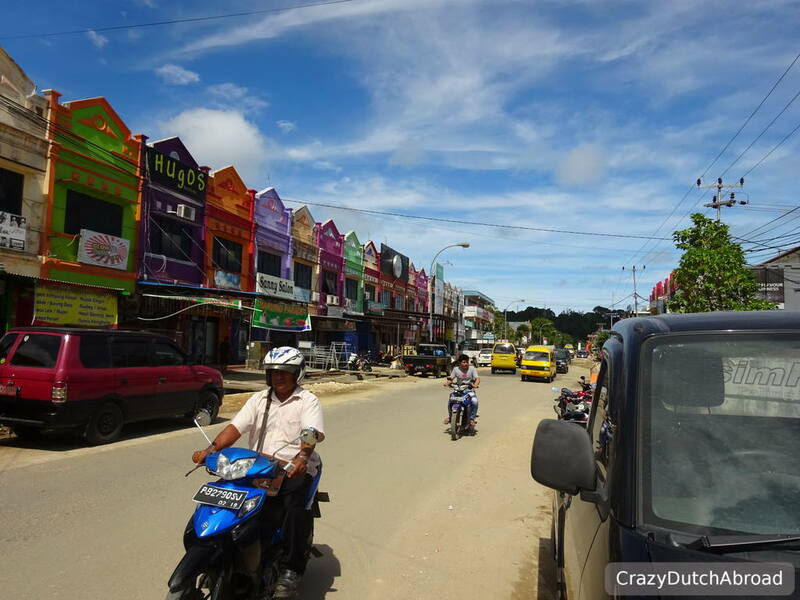 Sorong itself is a typical Indonesian non-touristic city, a lot of hawker stalls and warungs, mini markets and some karaoke bars. 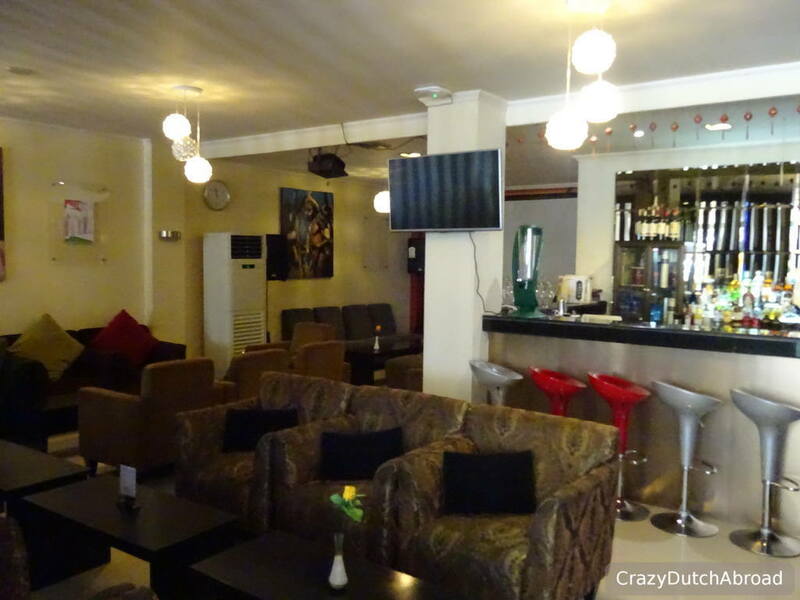 It is a logistic hub for the gas and oil industry without many interesting cultural attractions and or cozy sit down bars and restaurants. There is a lot of garbage in and around the harbor, so you can skip a romantic stroll in the evening. 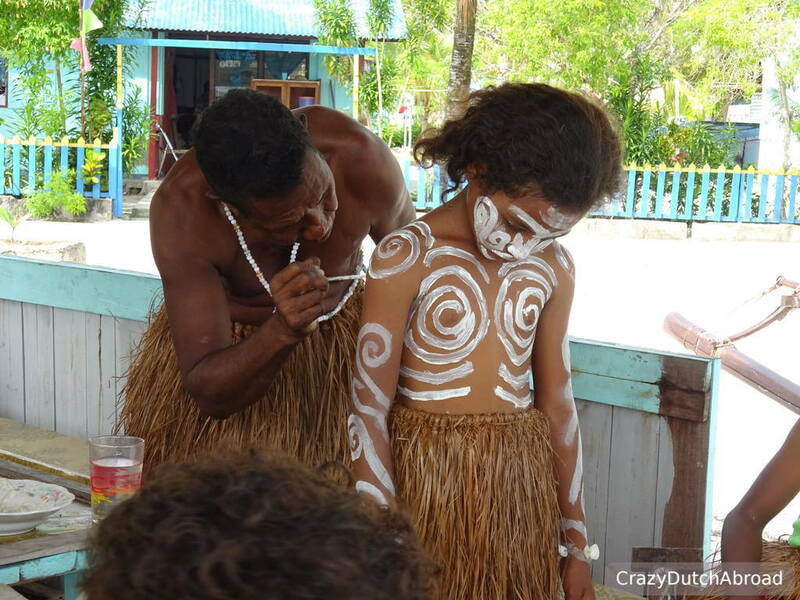 As soon as you arrive you will see that there is a mixture of Papuan and Indonesian people. Straight away you will notice the Papuans are less 'welcoming' and talkative towards foreigners while the Indonesians want to say hello, offer food & drinks and take selfies with you, when they dare to ask. 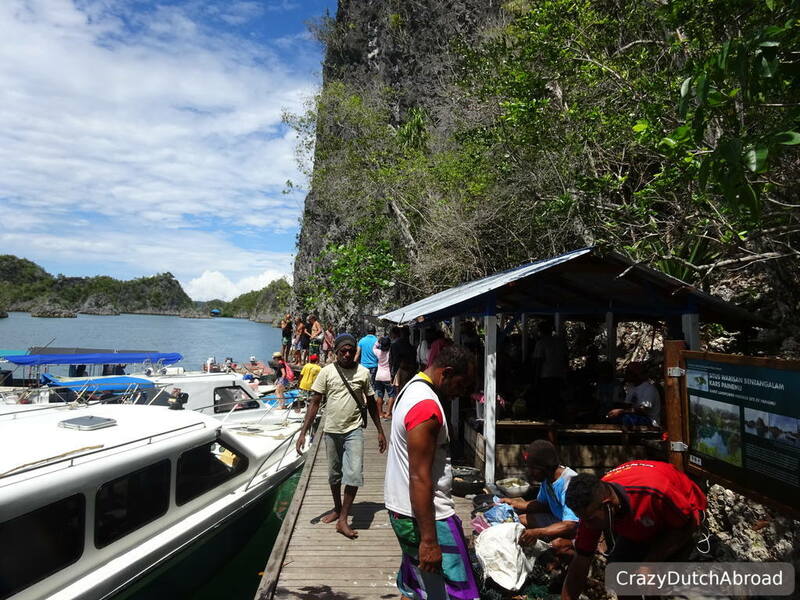 If you want to enter Raja Ampat you need to buy an entrance permit; Raja Ampat Marine Park Permit (PIN) of 1.000.000 Rupiah (about 75$) for foreigners, valid for one year. 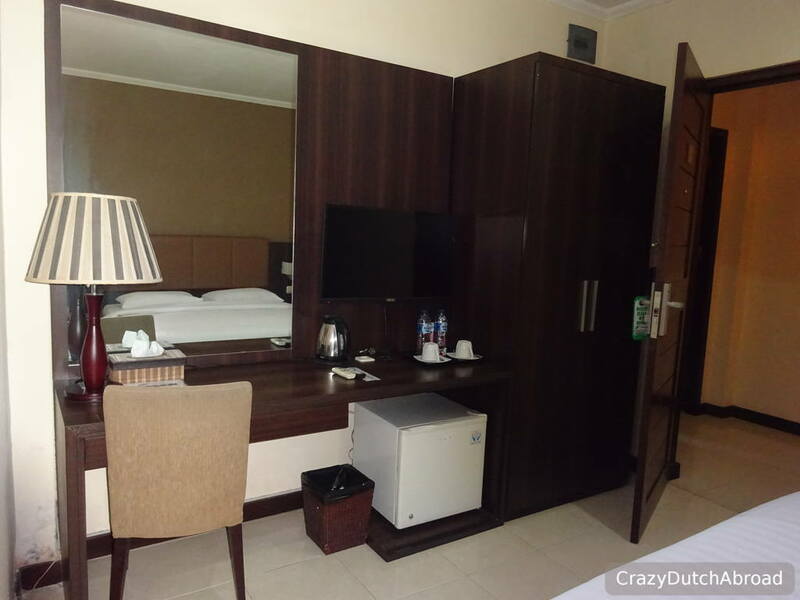 Depending on your time of arrival you can buy it at the office close to the Airport. It was closed when we arrived so we decided to buy the PIN in the harbor of Waisai. 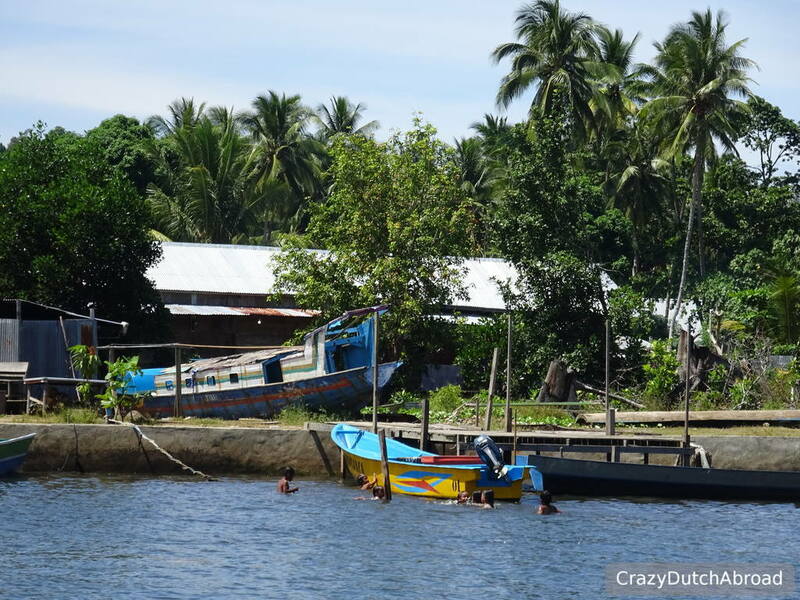 You can NOT but a PIN in the harbor of Sorong. 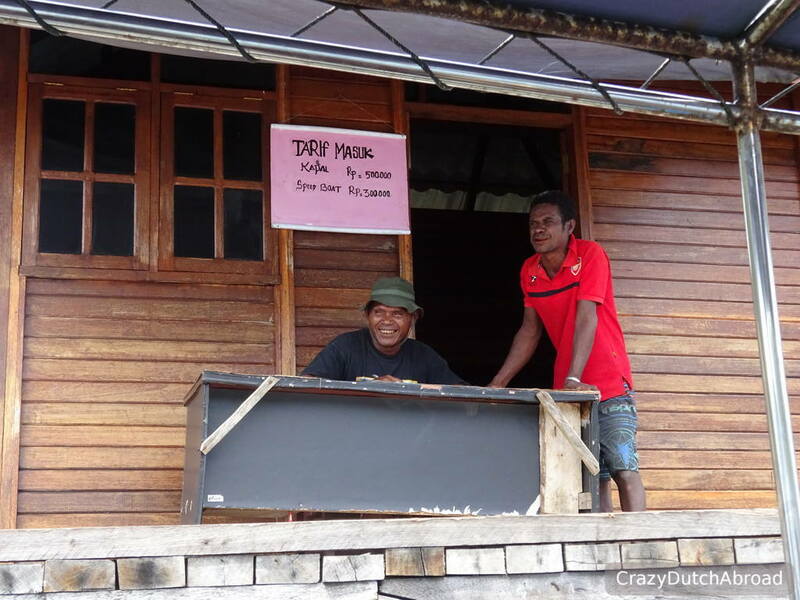 Some resorts in Raja Ampat sell the PINs, the local homestays do not. The same thing goes for cash, bring as much as you can if you stay in a homestay. There are some ATM's in Waisai but they are not in the harbor area so you would need to take a scooter and have your connecting transportation (boat) wait for you. 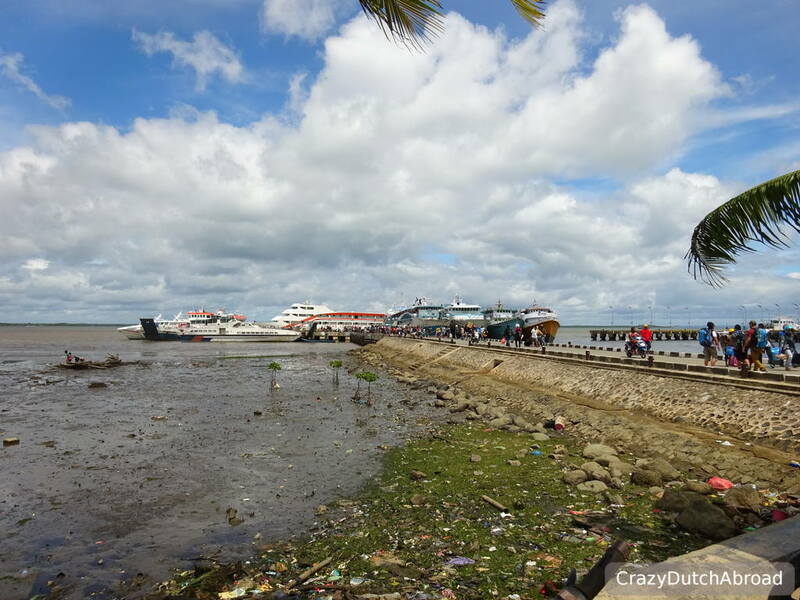 There are one or two ferries per day going between Sorong and Waisai. Since the chance is about 100% that the boat is running late make sure to schedule in some extra time. 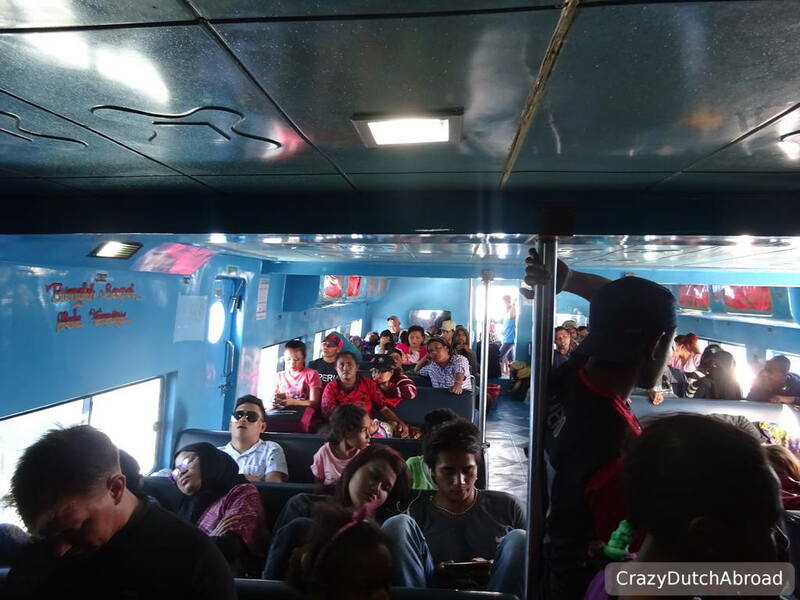 There is also a chance of a full boat, so just arrive on time in the harbor to buy a ticket and wait at the little shops or on the boat (partly air-conditioned). The ferry tickets cost 130.000 per person one way and you can buy some snacks and drinks on board (Pop mie noodles are favorite). The ferry takes about 2 hours. Once in Waisai you can go to the Tourist Information Center to buy the PIN, 5 minutes walking. Do not worry about the opening hours, the office will be open when the ferry arrives (which is likely to be late)! Bring your passport. You get three things; the actual PIN (a plastic token), a plastic business card-like date perforated card with your personal data on it and a Environmental Management Fee Receipt. The 1.000.000 Rupiah goes to development of Raja Ampat, community fund and the operational costs of the marine protected area. To do it on a budget you need to stay in one of the many homestays, which lets you sleep in a very romantic bamboo hut on the beach. Most homestays have generators providing about 6 hours of power every evening. During the night there is none, so no fan or air-conditioning - hope for a breeze! Almost every homestay offers full board (mainly rice & fish) and many have dip mandi bathrooms (showering with a bucket and something to scoop water). Through the website Stay Raja Ampat you can search and find all the information you need about islands, booking and communicating with homestays, prices, weather, diving and other activities, etc. This is a non-profit organization to help the local communities. 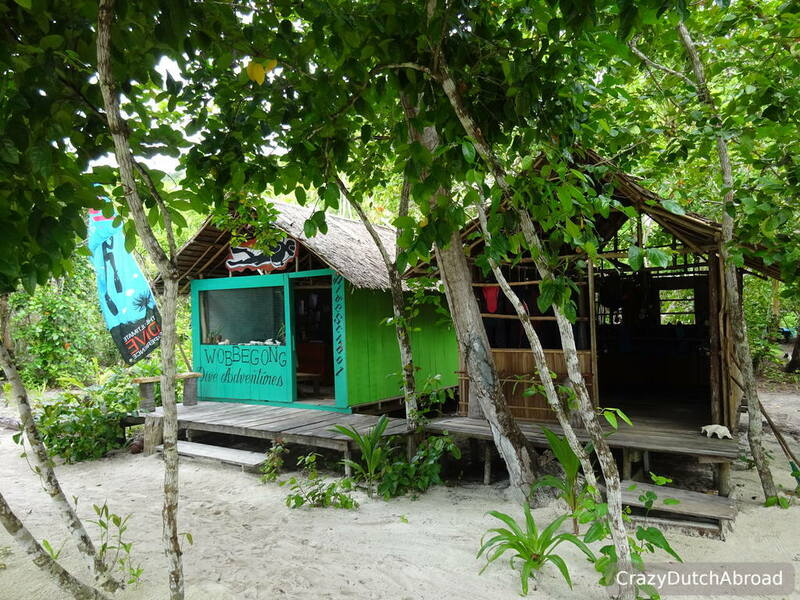 We stayed on Kri island with Koranu Fyak Bungalows because they had a diving center on site, an excellent house reef and it cost less than 350.000 per person per night (full board)! 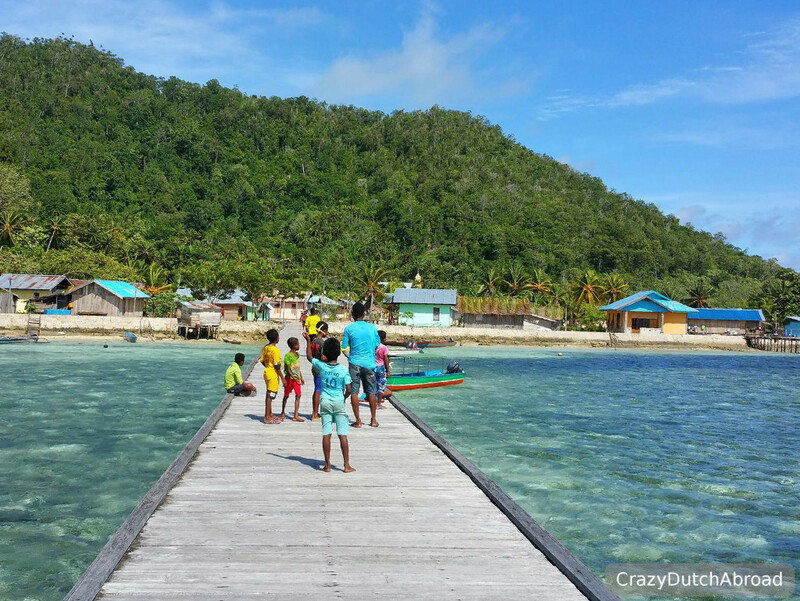 Kri is a very popular island in Raja Ampat, many homestays and resorts line up along the shore. The house reef of Korany Fyak is really amazing, from the restaurant (sheltered public area) you can already explore the reef and see many fish. High and low tide make interesting shifts here as well as how the locals work their way around it with their small boats. Even diving on the house reef is well worth it! 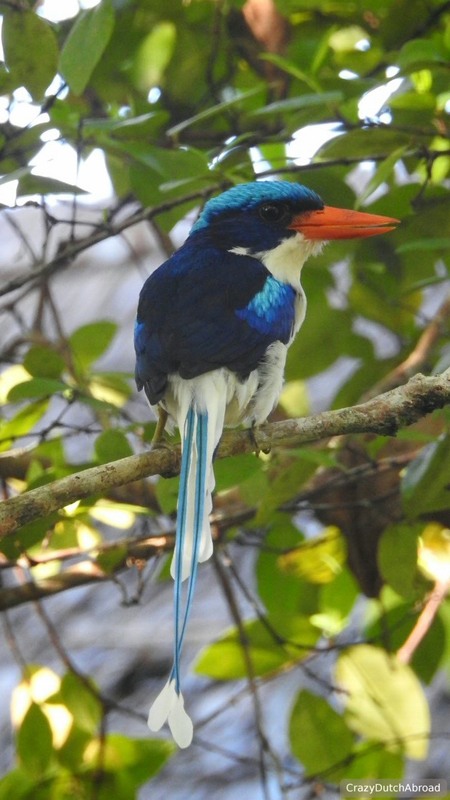 There are many tropical birds around the island as well as colorful butterflies and beetles but there are also big spiders and some rats. Sara and Cedric are managing the resort and the diving, they really took care of everything and we had a lot of fun! 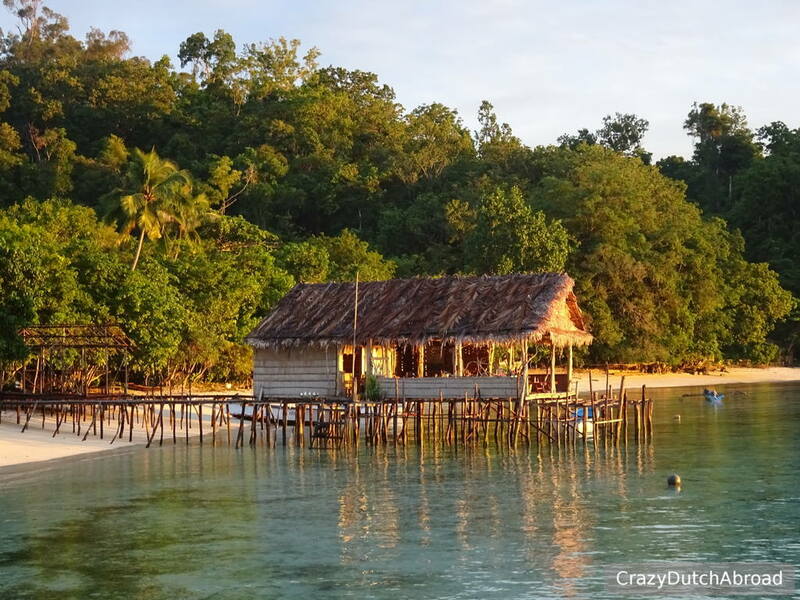 There is only one boat at Wobbegong Dive Center and Koranu Fyak so trips are really 'scheduled' for the whole day and the dive equipment is not the newest. 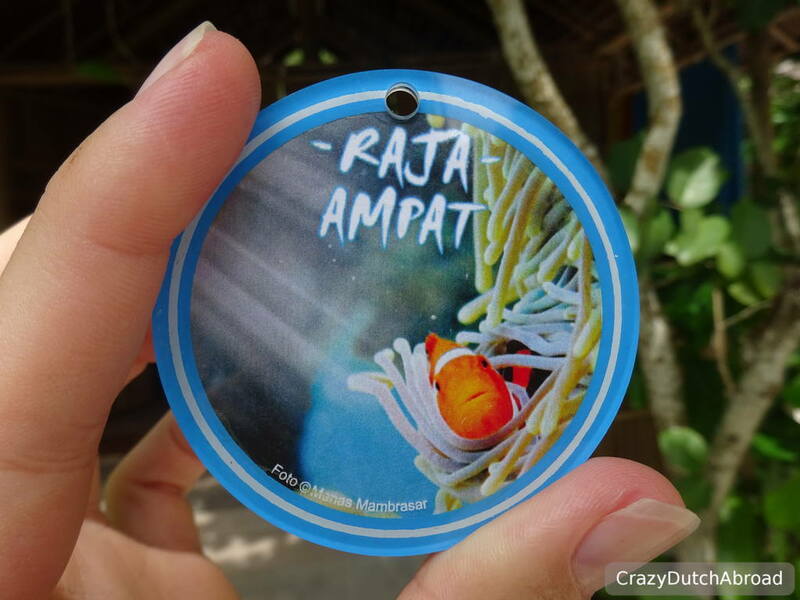 More information about diving Raja Ampat you can read here. In most (or maybe in all) homestays there no hot showers. Luckily there is a construction of PVC pipes to shower off instead of scooping water over yourself at Koranu Fyak! The bathroom building is shared and you need to bring a torch during the night. 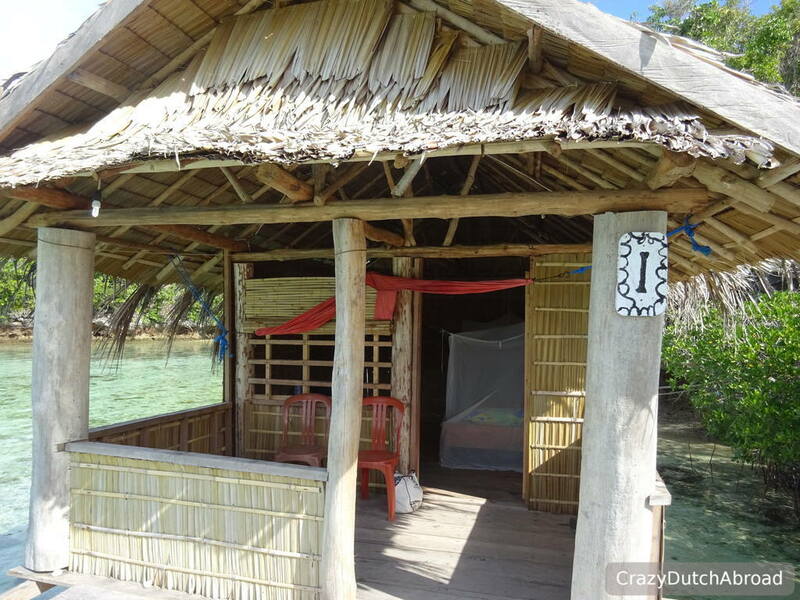 The rooms are simple and romantic, a bamboo hut with a mosquito net (bring repellent!) and a thin foam mattress on a raised floor. Everything is open and there are no locks, it felt completely safe though. The main public area is an open air restaurant over the water. 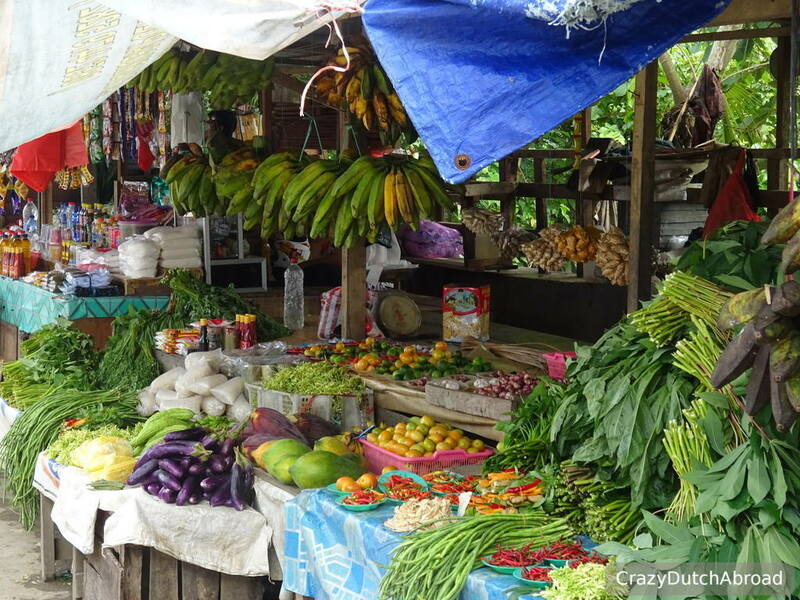 Three meals are served during the day while there are always bananas and limes for you to take. Breakfast was small, deep fried sugared food, cake and fruit but lunch and dinner were great! Although the menu varies it is very oily and not the healthiest food around, but the taste is good! Considering the price and remoteness I would say it is fine for a few days. There are snacks, soft drinks and beers for sale at Koranu Fyak, if the local staff has managed the stock properly. For cold beers you need to wait until the generator has been switched on and the fridge has been on for a while. 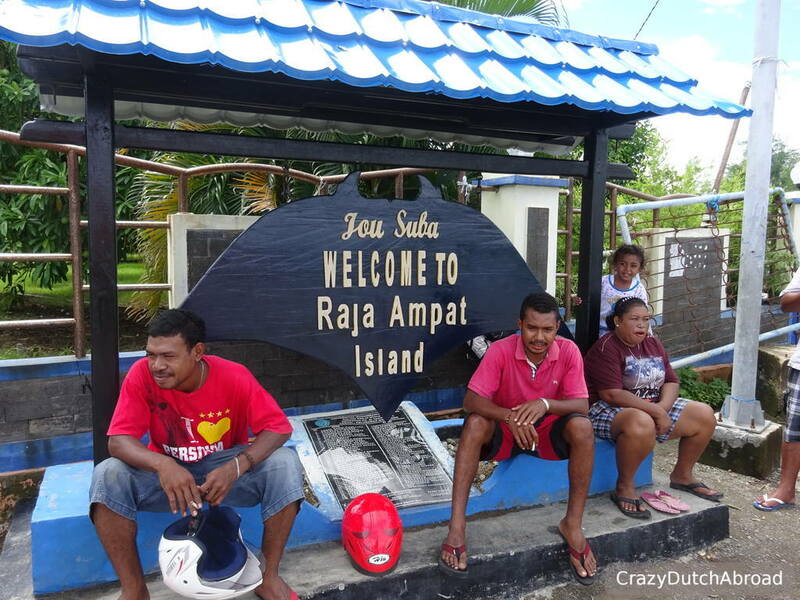 Google Raja Ampat and you will see pictures of the Fam islands. Of course we had to include this in our trip and see it with our own eyes! Since it is a full day trip from Kri because it is quite far away you need a few people to share the boat/fuel costs. We were lucky to be able to go to Fam before we ran out of time/budget. The day was filled with visiting islands, snorkeling & diving in the most beautiful places. When entering the Fam islands you pay a boat fee to visit the viewpoint. 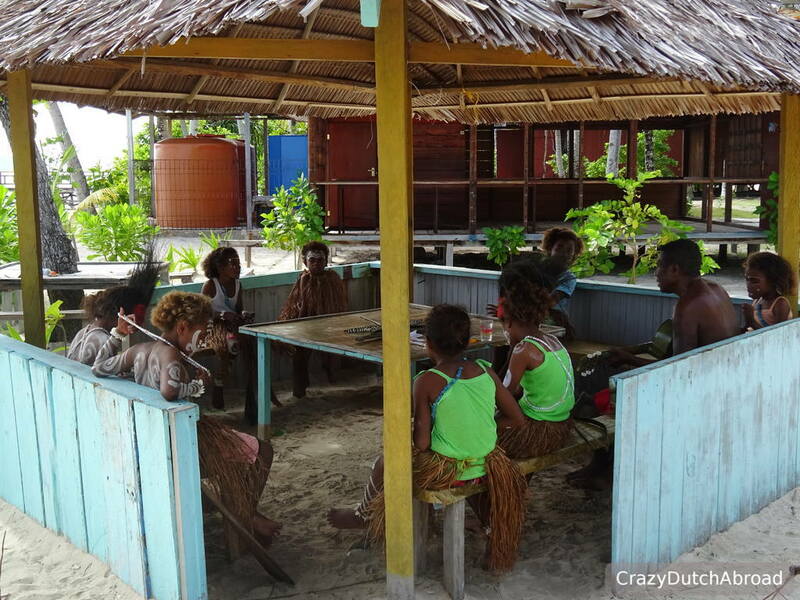 Many Papuan people around here have red or black teeth from betel quid chewing. I've seen this around North-Luzon in the Philippines as well (Moma). Since we were there on a Saturday as well as during an Indonesian holiday / end of Ramadan - it was packed with people! I think there were more people taking pictures of us (foreigners) than we took of this amazing view point but it was a great experience. From the viewpoint you can see the little islands with coral reefs and the different colors of the water around the islands, beautiful!!! 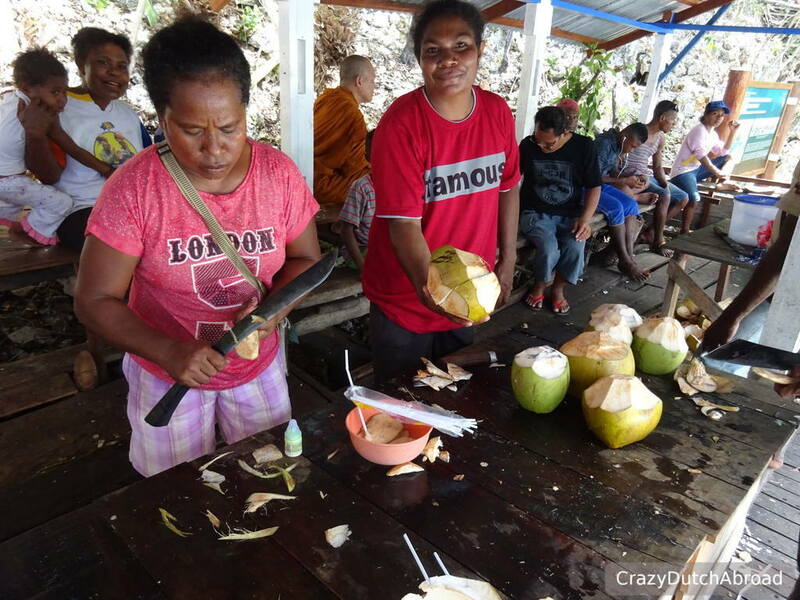 At the 'jetty' of the viewpoint you can buy a fresh young coconut and the smoothest coconut oil in the world. The money goes to the local communities so please support them a little bit! Arborek island was combined with this trip. 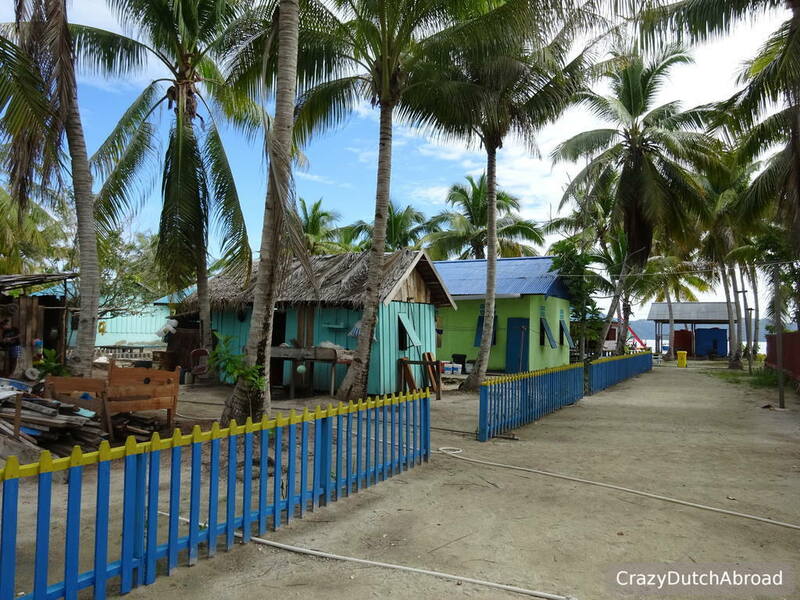 It is a small tropical island with lovely colored houses, shops and homestays. Here you can see that the locals are really trying to keep the ocean clean and healthy. People seem to be really aware of the impact of their actions. In other places it seems to be more a 'social' thing or 'for tourists'. It is great to walk around town and the best part is to snorkel around the jetty!!! 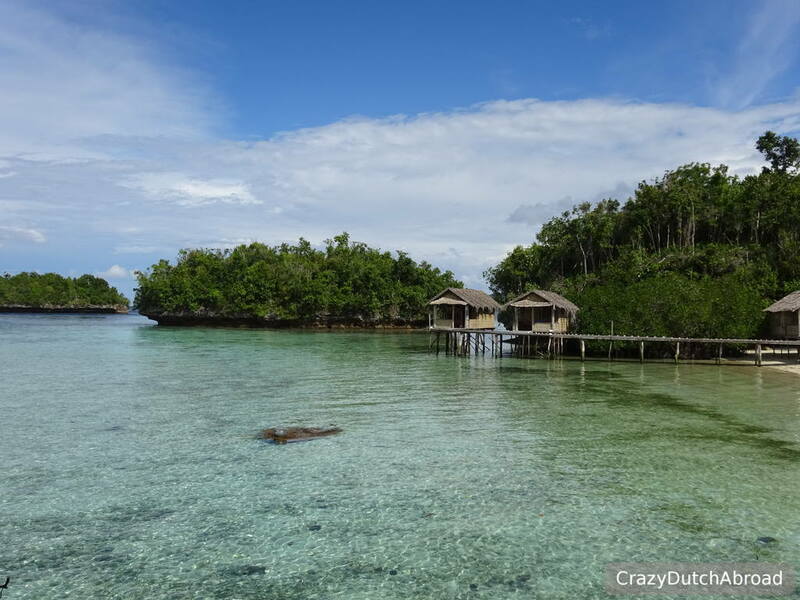 After our trip to Kri we went back to Waisai/Sorong for a few nights. There are no taxis but you can take an ojek (jump on the back of a scooter), this is quite hilarious with backpacks and other luggage. 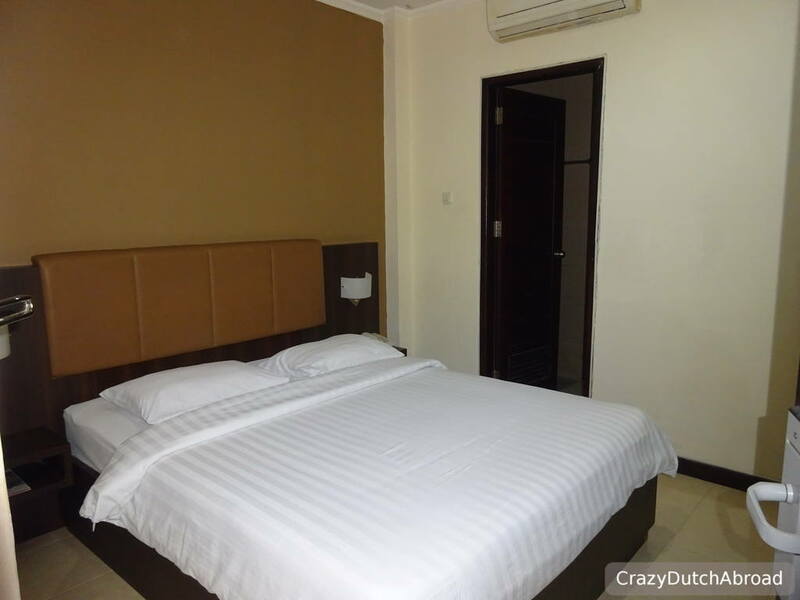 There are many places to stay in Waisai, you can find some online or just walk-in and check prices/rooms. In Waisai the water is fresh, not partly desalinated like on the more remote islands. Hot water might still be harder to find as well as a shower instead of a bucket. Air-conditioning is found easily. It is nice to walk around town, take pictures of all the colorful houses and gardens and visit the fish and greens market. There is also a 'boulevard' which is basically a path along the bay-front with closed shops and unmaintained green (we were there during off-season). 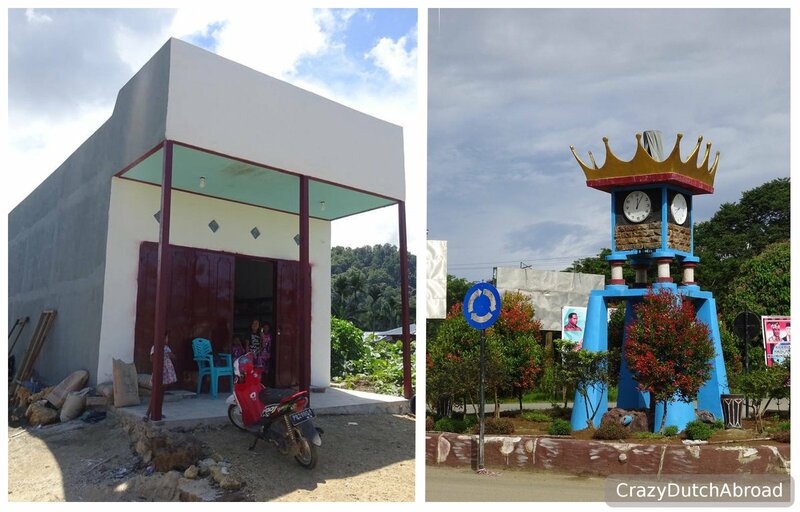 It is not touristy in Waisai, no souvenir shops, no cocktail bars, no fine dining, etc. Do not expect a huge cultural experience either but the people are really welcoming and friendly and it is worth a short stay. Here we met Anton who spoke well English and helped us around. He asked us if we were interested in staying at Kordiris Homestay on Gam for our remaining two nights. 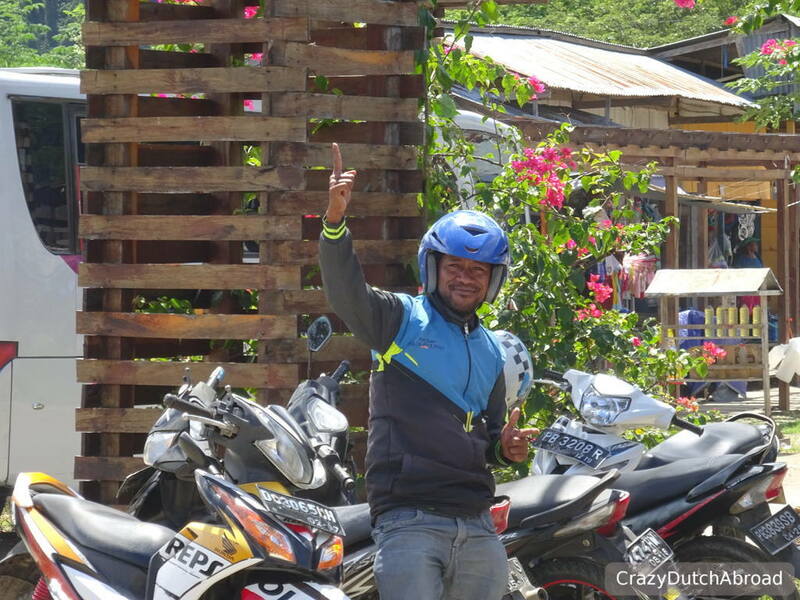 Since Waisai and Sorong did not had that much to offer we decided to jump in another adventure! First we went to ATM and liquor store to bring some beers to Kordiris. Google Maps is not updated regarding streets and locations at the moment of writing so search for the house close to the roundabout with the clock & crown at the police station. While we were waiting for the ferry to arrive with the other guests Anton gave us some cola and bread with chocolate sprinkles (hagelslag for the Dutch! ), very friendly! Just ask around in town if you need him, everybody seems to know each other. We went to Kordiris Homestay on Gam, like a gift on top of this amazing trip. 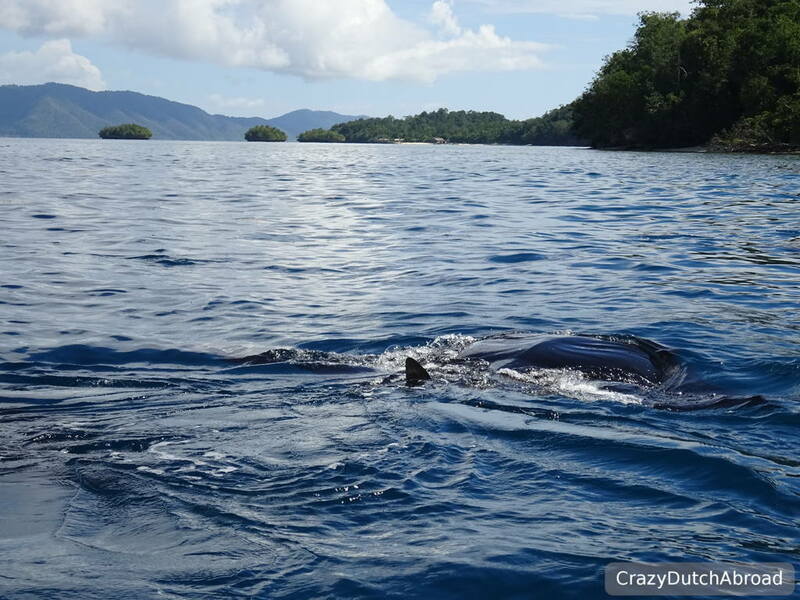 On our way over to the island there were Manta Rays playing around! Amazing! 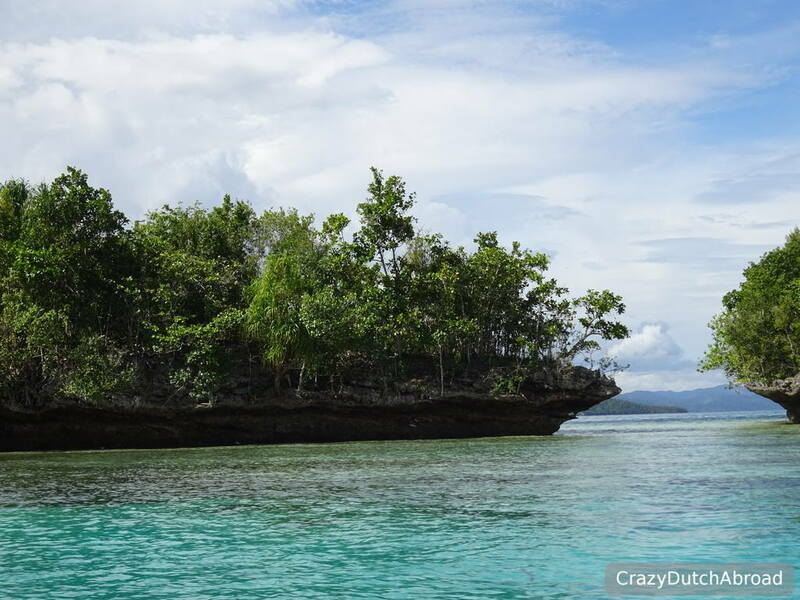 Kordiris Homestay has a beautiful bay area, more like a lagoon with round-shaped limestone islands. The sandy bay area made it very picturesque and with the seagrass around it is not surprising they spot dugons sometimes. Our WATER bungalow was at the end of the jetty, the perfect setting! There were small reef sharks and clown fish (Nemo) underneath our bungalow and we had a fresh breeze as soon as the wind picked up. 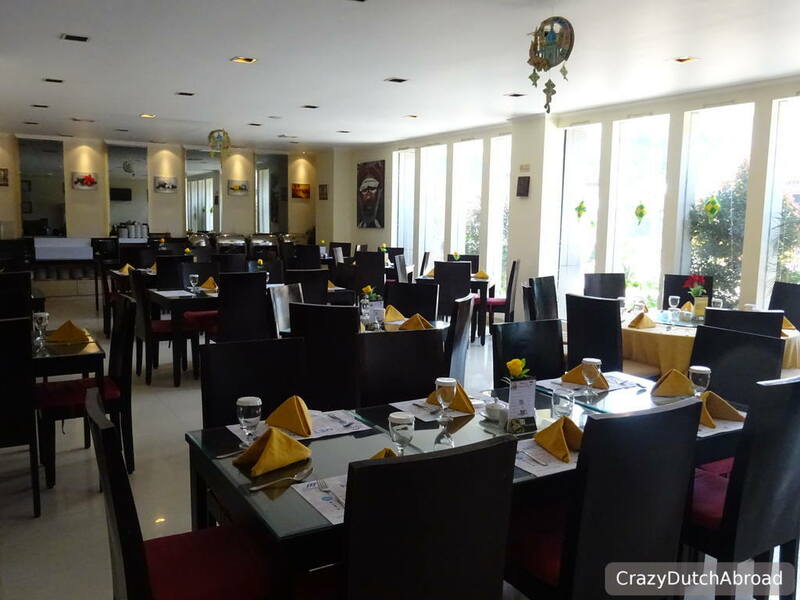 The bathroom building at Kordiris as well as the restaurant was organized similar to Koranu Fyak Bungalows all-though the food contained more fresh ingredients. You can not buy soft drinks or beer here but you can bring your own and they store it cold for you. Even though the generator was off we could enjoy (our own) cold beers after diving. 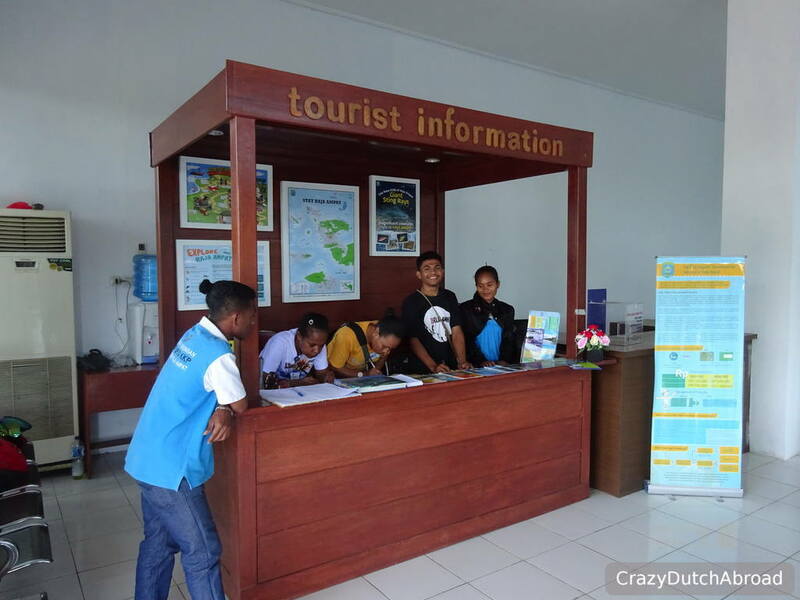 Maria and Enzo are taking care of you in this resort, another warm welcome here in Raja Ampat. Enzo organizes the diving, which is awesome, and there is plenty of well maintained 'newish' dive equipment! 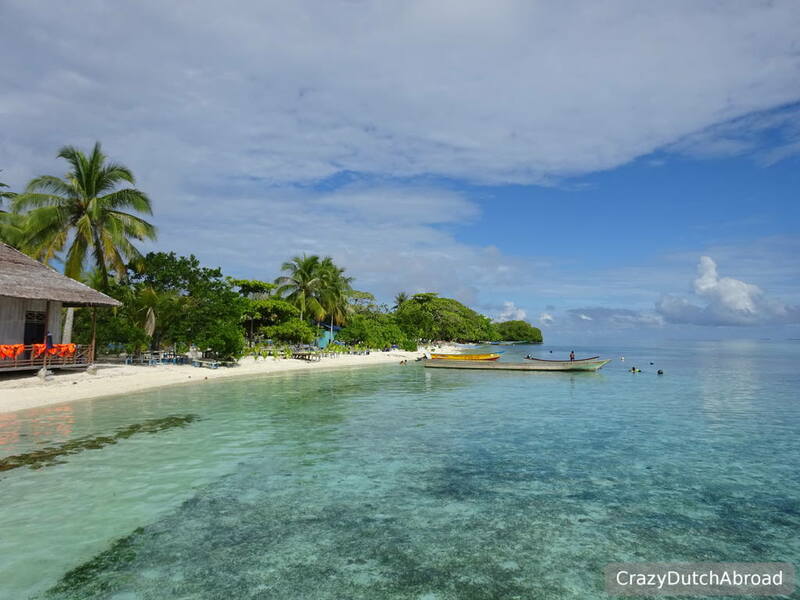 Read more about diving Raja Ampat here. 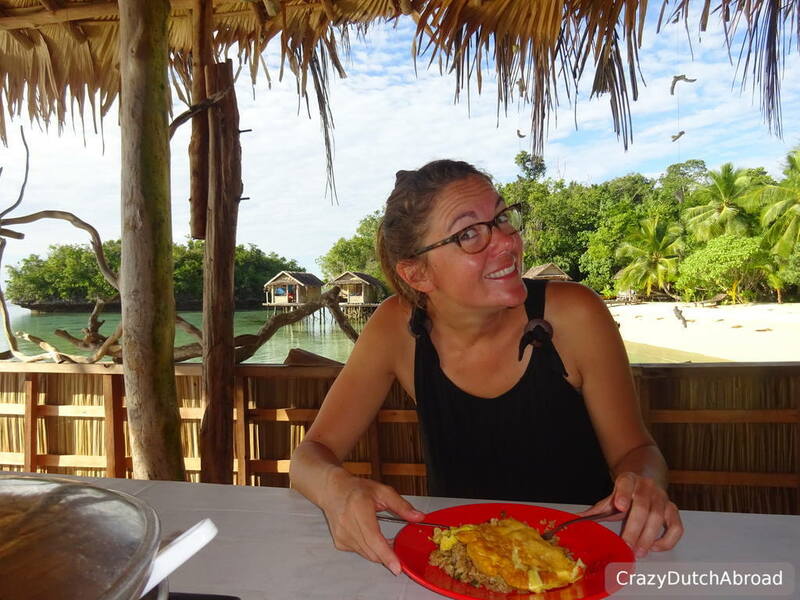 Things to consider before going to a homestay in Raja Ampat. 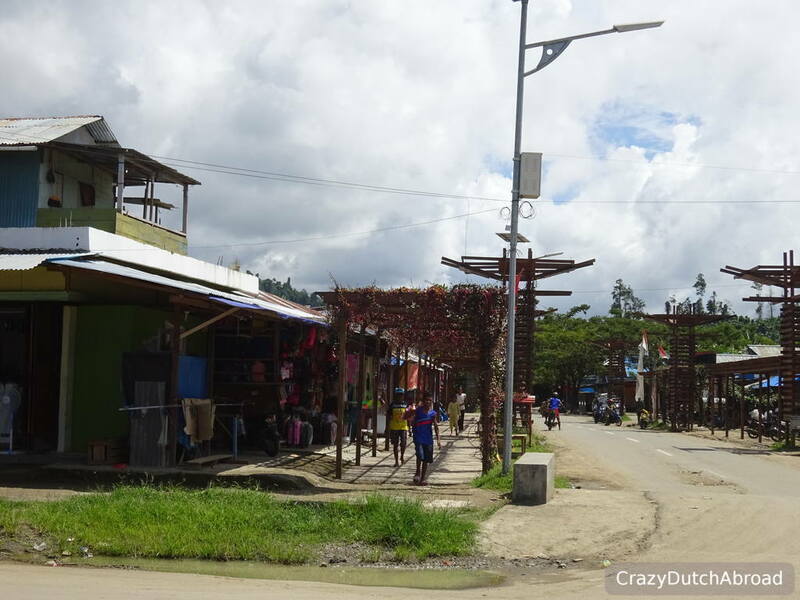 On Sundays nothing happens, some locals go to Church as it is mainly Christian in West-Papua. Normally there are no boat trips scheduled, no diving, no service. Of course there are exceptions but expect an 'expensive' day of doing nothing. 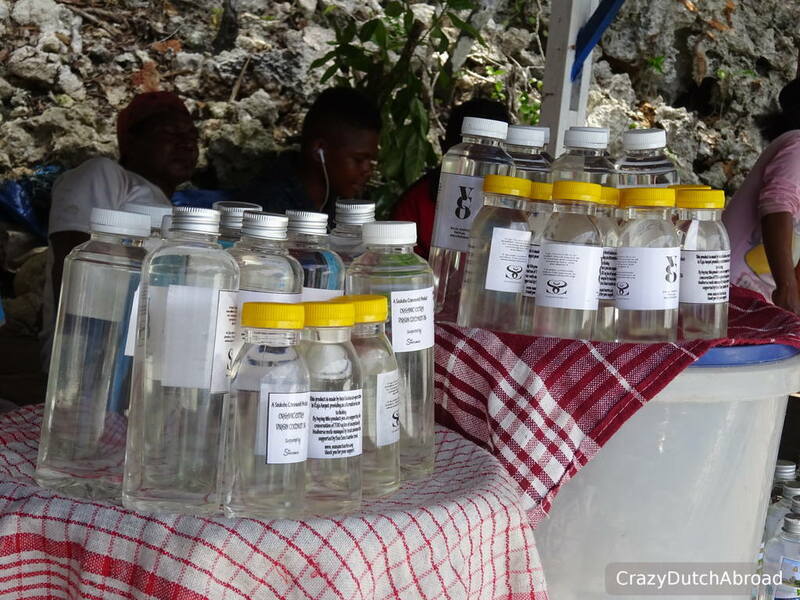 Bring your own toiletries, insect repellent, medicines, snacks, drinks and cigarettes from Sorong or Waisai, or you might end up paying for a boat trip to a shop. There is basically NO WIFI. If you need internet, buy a local SIM card with data and top-up before you go. SimPATI (Telkomcel) works OK on Kri and Gam for checking your email and social media, it is not stable though. English is not spoken everywhere, bring something to translate and learn the basics before you go. Expect to pay fuel costs every time you need to take a boat somewhere in Raja Ampat, try to share a boat and bring enough cash. We visited in July which is considered off-season due to high waves/wind/rain. There were no liveaboard around and we had some clouds, waves and rain - but nothing special and the diving was still great! The only bumpy rides where the ones getting back to Waisai. Please let me know if my travel information and tips are useful to you! Photo credits for the birds, Arborek girl & house reef of Koranu Fyak on Kri are for my friend Gregory Napolitano!